Original production by Cameron Mackintosh and The Really Useful Group Ltd. 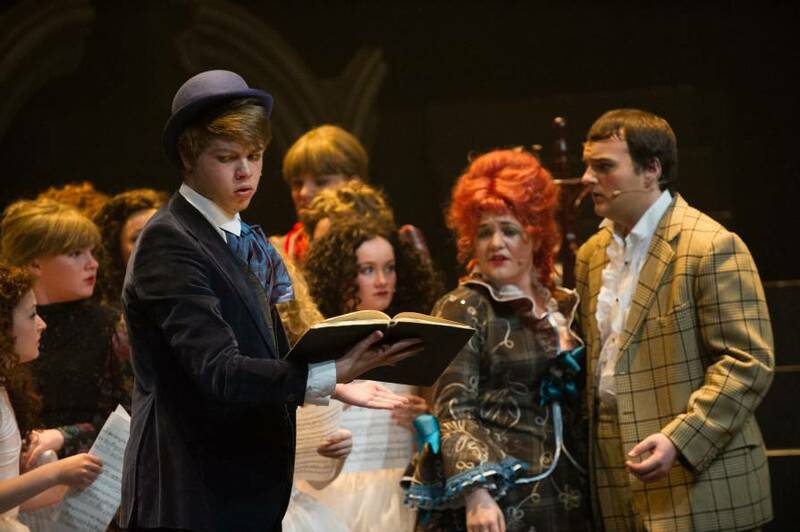 Recently our talented young director, Joe Meighan directed a sell out version of Les Miserables at the Garrick performed by a stunning cast of young performers. Now Joe returns with perhaps the most successful of all musicals- Andrew Lloyd Weber?s masterpiece, The Phantom of the Opera. Far beneath the majesty of the Paris opera House hides the shadowy existence of the Phantom. Shamed by his physical appearance and feared by all, the love he holds for his beautiful prot?g?e Christine is so strong that even her heart cannot resist. With fabulous songs, ?Music of the Night?, ?All I ask of You? and ?Masquerade?- this promises to be a night at the opera not to be missed. CAST – pleases scroll down for the latest 5* REVIEW! If you would like to have the latest Garrick News from this website e-mailed to you directly, then please subscribe to our News ‘blog’ on the?front page? 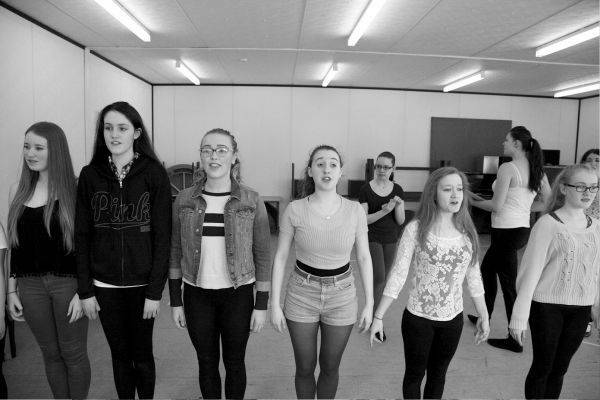 and be sure of not missing any of our latest announcements or audition news – or maybe join our?Facebook?or?Twitter?pages as well. THE last youth production I saw, opposite Shakespeare's Globe in London, was pure torture. 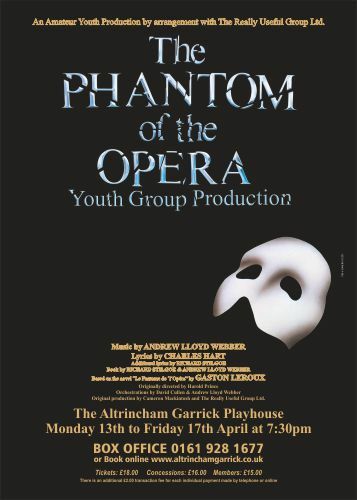 ?Altrincham Garrick's The Phantom of the Opera, on the other hand, is pure brilliance with the cast spectacularly rising to the many challenges this fabulous musical poses. ?Musically, this is Lloyd Webber's finest hour for me, with a score teeming with memorable, sumptuous showstoppers. 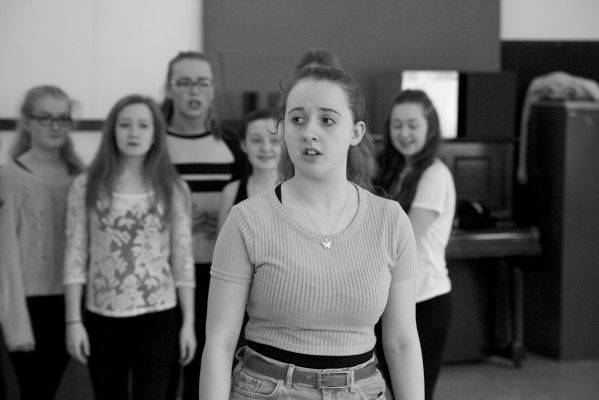 It is difficult to perform but this vibrant young company make it look oh so easy, under the accomplished direction of Joseph Meighan from Flixton. Remember that name - on the evidence of this stunning show he is going places. ?Not only are the cast gifted singers, but they are equally adept when it comes to conveying the intense emotion running through this most un-orthodox of love stories. 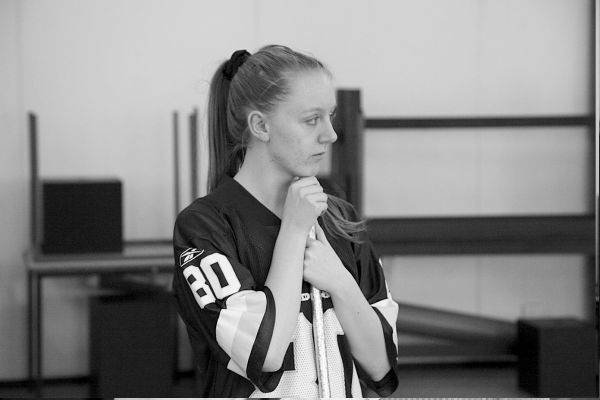 ?Jessica Heaps is spellbinding as Christine, with a voice so pure and powerful it is sure to bring you out in goose pimples. 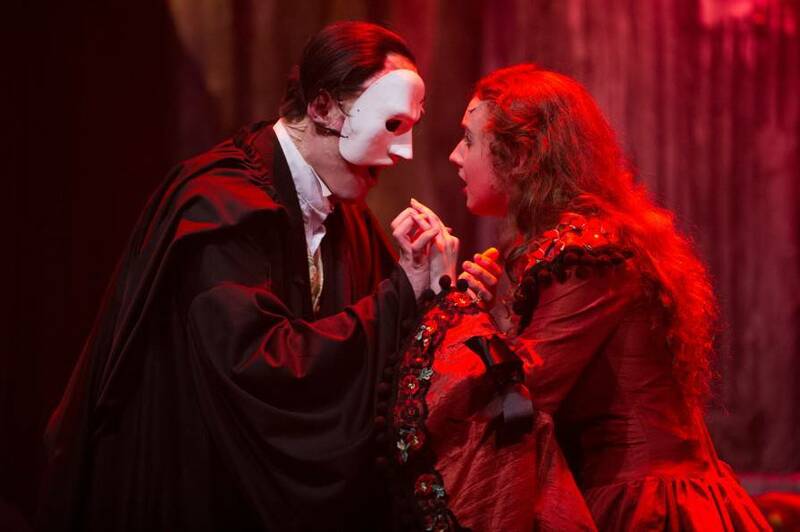 The scenes with the Phantom are so good, so captivating, you don't want them to end. A powerful chemistry exists between Jessica and Chris Wagstaff, who is as sympathetic as he is scary in this difficult stage role. Jacob Robinson also excels as Raoul and a very bright future awaits all three if they embark on a career on the professional stage. ?It seems unfair to single out individual performances as there aren't any weak ones and I wish I had the column inches to mention all of you, as this show represents a high water mark for youth theatre. The standard has been well and truly set. ?Musical director Daniel McDwyer and choreographer Kirsty Hooper also deserve praise because they've also played their part in making this a truly memorable night at Altrincham Garrick. Just imagine. You have left the Garrick Theatre behind and are now sitting in the bowels of the Paris Opera House where you meet the disfigured Phantom who haunts it. ?His voice is clipped giving away his disturbed state of mind after the loss of a woman?s love and he plans revenge., He weeps, howls and groans when she rejects him and your attention never leaves him. ?What is more, he?s only 17-years-old. 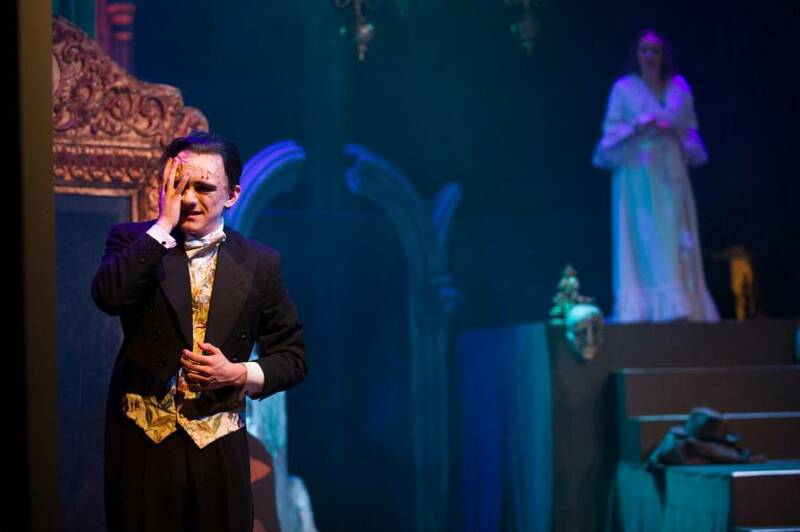 For Chris Wagstaff who plays him, is taking part in a youth production of The Phantom of the Opera that is utterly mind boggling in its professionalism. 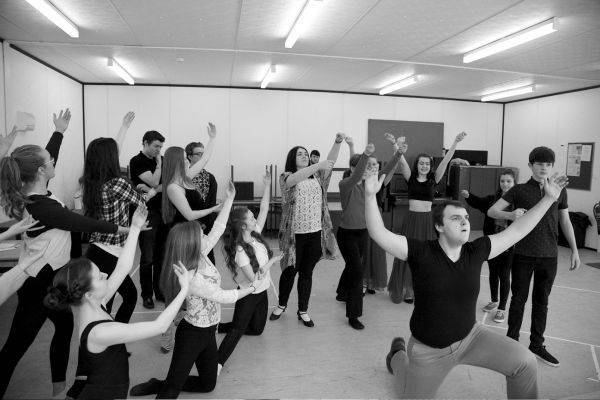 ?Director Joe Meighan, who took charge of last year?s youth hit Les Miserables, is only 20. Yet his Phantom, which the Garrick asked him to direct, is even better. ?The Garrick Youth Group ring out with Andrew Lloyd Webber?s glorious songs accompanied by a live orchestra also made up of young people. 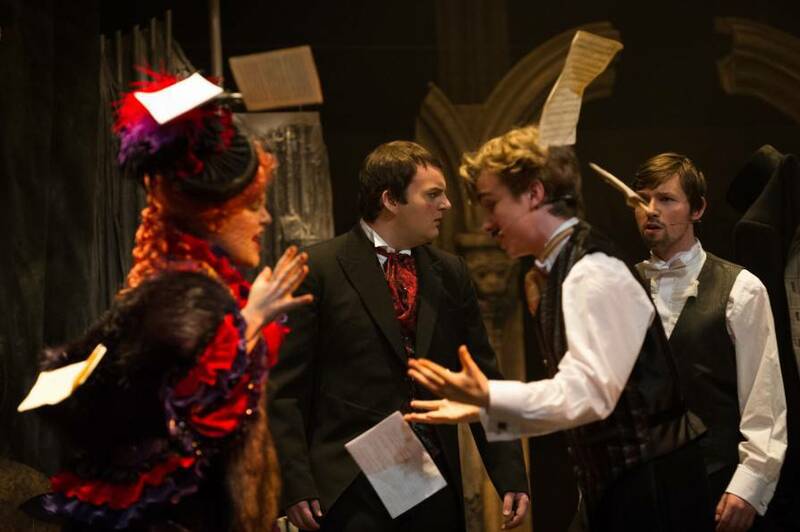 ?The cast are impressive in their mastery of intricate operatic interaction. ?Singers with unforgettable voices are Jessica Heaps as Christine, the opera singer, and Jacob Robson who is her first love, Raoul before the phantom lures her away. ?Their rendering of All I ask of You sends shivers down your spine. ?Not only is their singing out of this world but their acting skills are sensational. ?I am equally impressed by Beatrice Marshall?s Carlotta. 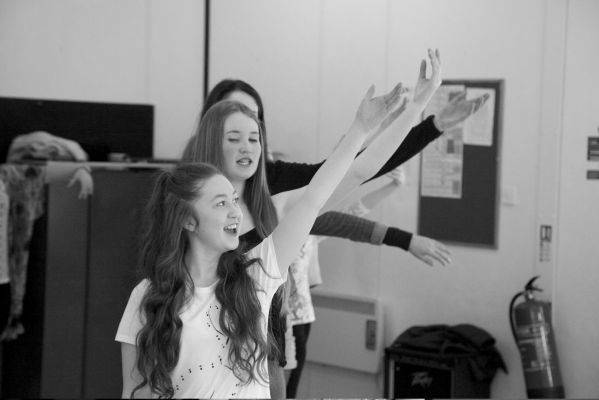 A third year student at the Royal Northern College of Music, her soprano voice can reach the highest notes yet she varies the sound to suit the script. 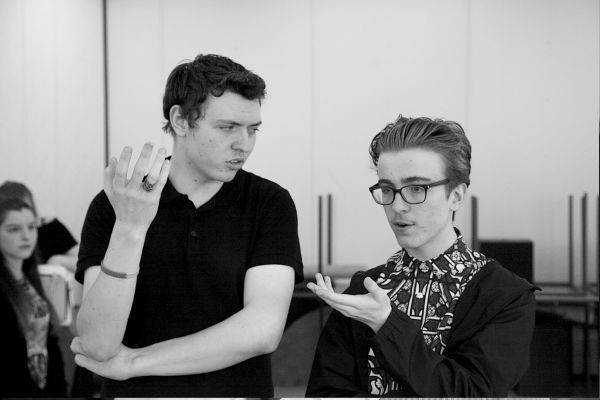 ?James London and Dillon Burgess add a lighter touch as Monsieurs Firmin and Andre. ?A word about the costumes. The Masquerade scene, in particular, which features the whole company, indicates the variety of imaginative and colourful designs. ?The phantom also wears spectacular outfits. ?And what an ending! It builds up dramatically to a horrifying climax. This kaleidoscope of young talent is a must see. It finishes on Friday ? so don?t miss it. Author:?Kevin Proctor ? ?I have always studiously avoided this musical which I perceived to be a mawkish melodrama with a few played-to-death love songs. It wasn?t until I could no longer choose the productions I attended that I ever saw this show in its entirety and to my surprise I rather enjoyed it. Like other recent Garrick presentations, I was somewhat surprised to see this title when this season was announced - an interesting choice and another challenging one! ?The in-house wardrobe team lead by Mike Shaw tops all triumphs with their extravagant costuming, the Phantom himself could easily be upstaged!? 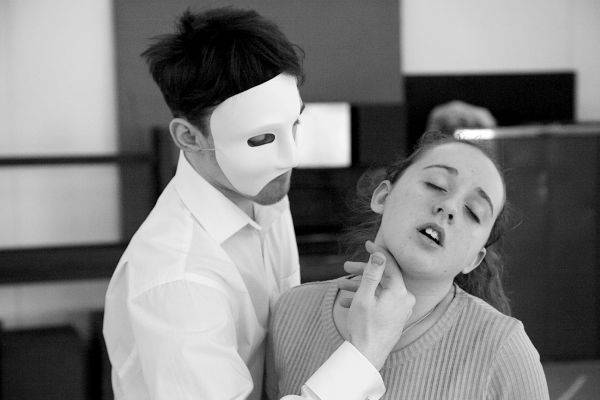 Not so, Chris Wagstaff oozes menacing sensuality as the man behind the mask with dramatic power and twisted pathos. The second time I?ve seen Chris take on the role following his success with the PADOS production last year, unbelievably, with this performance, he has overtaken his own winning standard. Flawless. 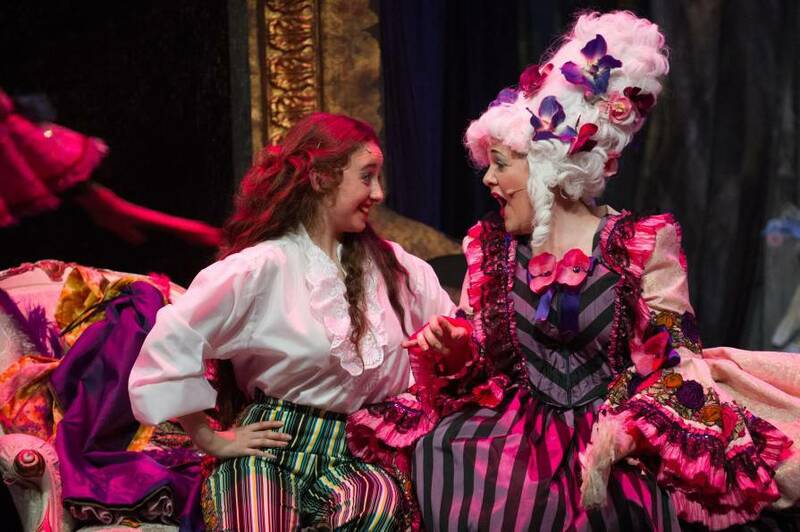 ?Jessica Heaps as Christine Daae, the beauty to the beast, has many of the qualities required for the role, some of her moments were strong indeed bringing an honest likability and confident energy to her performance. At times appearing a tad ?stagey? for me which certainly would have worked if confined for the moments she performed the ?shows within the show? but I would have liked to have seen a more tranquil and naturalistic presentation for the majority. 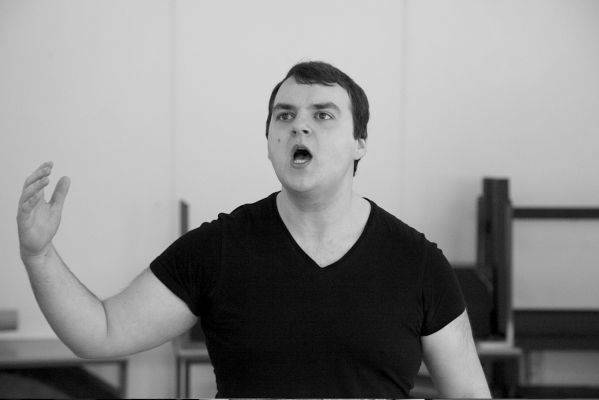 ?Jacob Robson as Raoul, the love struck Vicomte de Chagny was refined and elegant. The role was charmingly underplayed transforming a wet (arguably slimy) part into a potent and warm character. A class act! ?There are marvellous cameos by; Beatrice Marshall as the outrageous prima donna Carlotta, exposing remarkable vocals amidst her hilarious riotous trait; as so with Daniel Upchurch?s ostentatious tenor Ubaldo Piagi; Megan Johnstone as Meg offered a genuine warmth to her interpretation and the austere ballet mistress, Madame Giry brought a perturbed depth which Emily Yarwood uncovered, creating an untold interest to what can be a forgettable role. ?I wouldn?t have thought it but a static set does indeed work for this production, it administered more of the action to take place down stage (which is never a bad thing) while creating visual interest with its many levels and towering structure. This, working closely with the effects contributed to the overall impressive delivery. Speaking of effects, I was stunned with the vanishing act for the Phantoms final exit, terrific! ?It is unfortunate that if things run smoothly from the technical side, they?ll not get a mention in a critique unless they?ve done something particularly impressive, the technical aspect of a production, sadly, only get mentioned should something have gone awry. This production was still finding its feet on the night I attended as several sound q?s were missed with some mic?s being turned up too late if at all and the unlucky misplacement of the ?Daae tomb stone? blocking the lighting special for the whole of ?Wishing You Were Somehow Here Again? which resulted in Christine performing the entire number in complete darkness. ?The sound from the pit was outstanding! 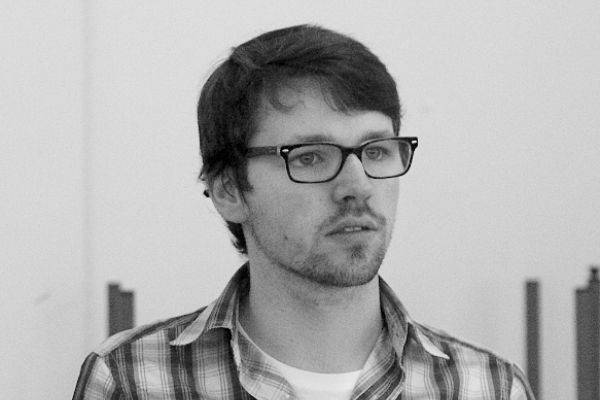 Daniel McDwyer headed a fine orchestra indeed which complimented the whole show, rocketing it into a whole new level. The production was sensitively directed by Joseph Meighan who presented a warm salute to a show loved and favoured by so many. There are some shows open to fresh interpretation and there are others which you don?t mess with, I sensed this to be an opinion Joseph is well aware of! Congratulations to a production team (Kirsty Hooper too, for her movement) who should be immensely pleased with such a result. ??Phantom? will never be a show I?d get overly excited about (personal taste) though I?d challenge anyone to not enjoy or appreciate this production which has obtained more enthusiasm from me towards this show than anyone else ever could. 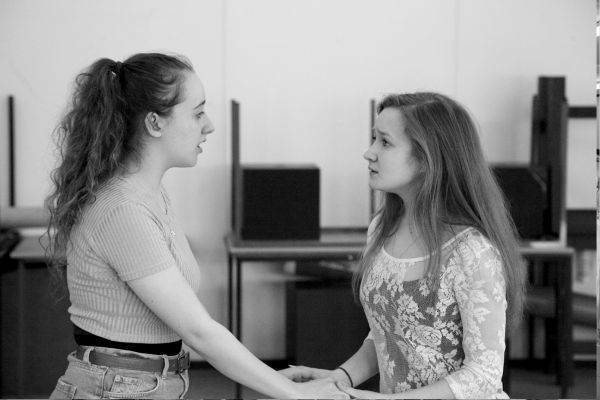 ?Feeling the need to remind the reader that this is a critique for a youth production, I?ve not at all softened or censored my feelings towards this production because of its youth cast. Whether these players were adult or youth, they were marvellous all the same!